This is an industrially printed version of the Triomphes de Paris. The cards are of a smaller size, nevertheless the pictures themselves are still kept at 85 to 90 percent of the original size, as mostly the margins were reduced. 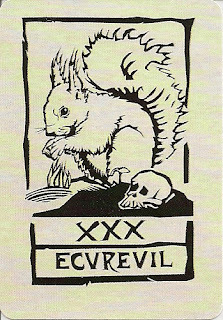 Same as the original version this deck comes in a card wrapper such as was used in card manufacturing of the 17th Century . The card backs are red. 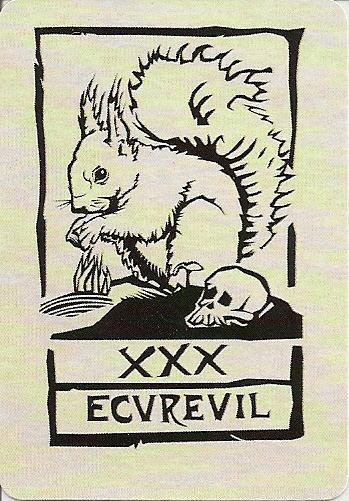 This edition has a bonus-card picturing a squirrel with a skull.